Let’s face it: Batman is the coolest. Even for a comic book fan like me, one who spends an inordinate amount of time fixated on the Complete Marvel Universe, reading Batman is almost always a good decision. It’s no surprise there are 6 (nearly 7) Batman stories within my top 50 of the best comics of all time. 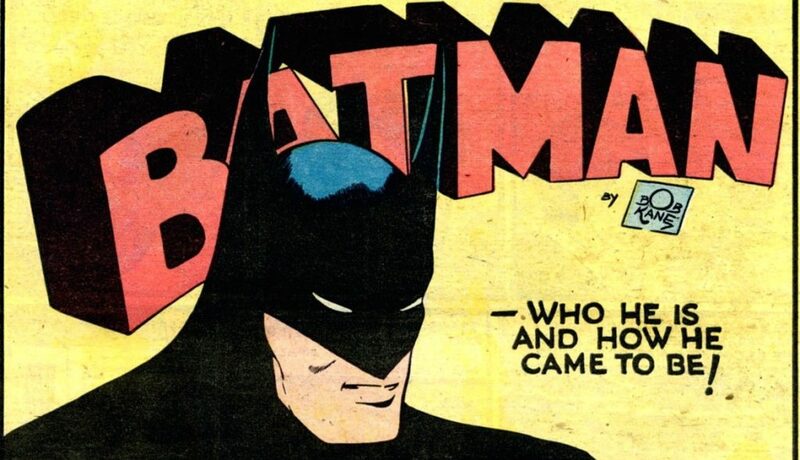 Whether you’re here from the comics, the Arkham video games , or the Dark Knight movies , there’s a glut of reading options all leading to the same question: Where do I start with Batman comics? I’ll answer that here in a relatively expedient manner. Note, that Batman made his comic book debut more than 75 years ago. I won’t mention every comic he’s been in since then, and trying to read all of them would be an intimidating (if noble) life goal. Instead, we’ll focus on the comics that make Batman so great, and how you can enjoy them in a chronological order. Where To Start With Batman Comics? Dave’s Faves: Best and Essential Batman Fast Track! If you want just the best of the best, I’ve listed my favorite Batman stories below. Otherwise, you can carry on to check out the complete reading order and chronology! Let me be clear: You certainly don’t have to jump back to the 1940’s to start reading Batman comics. That said, it can be a lot of fun, and you’ll see the debuts of Batman, Robin, Joker, Commissioner Gordon, Catwoman, and many more. Most Expedient Way to Navigate Batman’s Early Decades! Jeff Parker and Mike Allred’s work on the 2010’s, digital-first Batman ’66 series effectively captures the tone and humor of the 60’s TV series more than any comic you’ll find from the era. Collects: Batman #200,203,210, Brave and the Bold #75,76,79-85, Detective Comics #370,372,385,389,391,392, and World’s Finest #174-176,178-180,182-183,185,186. Collects: Batman #232, 235, 240, 242, 243, 244, Detective Comics #411, 485, 489, 490, and DC Special Series Volume 2 #15. Tales of the Demon marks a more immediate introduction to Rah’s Al Ghul and Talia Al Ghul, and features the creative pairing of Denny O’Neil and Neal Adams. Note that this overlaps with the above Neal Adams artist edition. A good starting place for Bat-fans just trying to get the best and most essential Batman stories through the years! To date, we’ve progressed in order of publication release date, but as we move into what many now consider the greatest Batman stories of all time (and the logical starting place for any new readers), we’ll be ordering according to Batman’s timeline. Batman: Year One is the 1986 graphic novel from Frank Miller and David Mazzucchelli. Alongside Miller’s The Dark Knight Returns , Year One is considered not only one of the best Batman stories, but one of the best graphic novels of all time. If you’re really all in, you could also check out Catwoman: Her Sister’s Keeper here, which expands on Catwoman’s role in Year One. Note that the first issue of Shaman actually takes place during Batman: Year One. An early Grant Morrison story mixing elements of Fritz Lang films, Byron poems, mobster radio serials, and opera into a quintessentially Morrison story. Batman becomes addicted to venom, the same substance that gives Bane his strength. A harrowing look at addiction through the eyes of one of the most dangerous men in the DC universe. The Man Who Laughs is Ed Brubaker and Doug Mahnke’s modern (the book was published in the 2000’s) take on the Joker’s origins. Long Halloween and Dark Victory are two 12 issue graphic novels from the creative team of Jeph Loeb & Tim Sale, where each chapter represents one month in the calendar year. I’d reiterate that these books were actually published in the 1990’s, but they deal (excellently) with Batman’s early days, as well as District Attorney Harvey Dent. Some personal favorite Batman stories in here. The Killing Joke is the increasingly controversial graphic novel from Alan Moore and Brian Bolland. In my opinion, Moore is the best comic book writer of all time, and while this isn’t his best work, it’s a formative Batman graphic novel, with lasting ramifications for Batman, Joker, and the Gordon family. DC Comics is adamant that The Killing Joke remain in Batman continuity, and everything from Arkham Knight to the New 52 have treated this book as sacred text. New collection of Jim Starlin’s time writing Batman overlaps with “A Death in the Family” collection below. Now known as the beginning of the fantastic Arkham video games, Arkham Asylum is also a beautifully haunting (and immensely popular) graphic novel from Grant Morrison and Dave McKean. 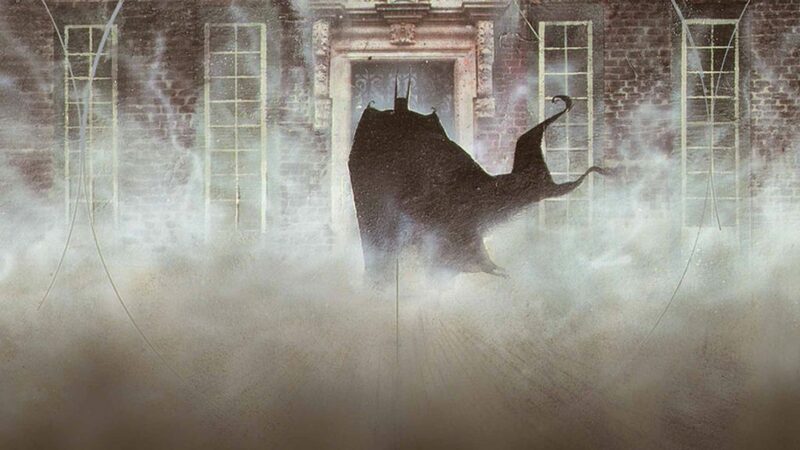 In many ways, Arkham Asylum is like a waking nightmare for Batman, and also establishes the always enjoyable story of Batman pummeling his rogues gallery on their turf: a haunted prison. Collects: Batman #426 to #429, #440 to #442, and New Titans #60 to #61. Another must-read, featuring three excellent Ra’s Al Ghul stories. You can find a full chronological guide to every issue in the Knightfall trilogy (including an essential “Road to Knightfall” fast track) in Comic Book Herald’s complete Knightfall reading order. Fans of the Arkham Knight video game can check out Azrael’s comic book origins here as Batman heads towards Knightfall. 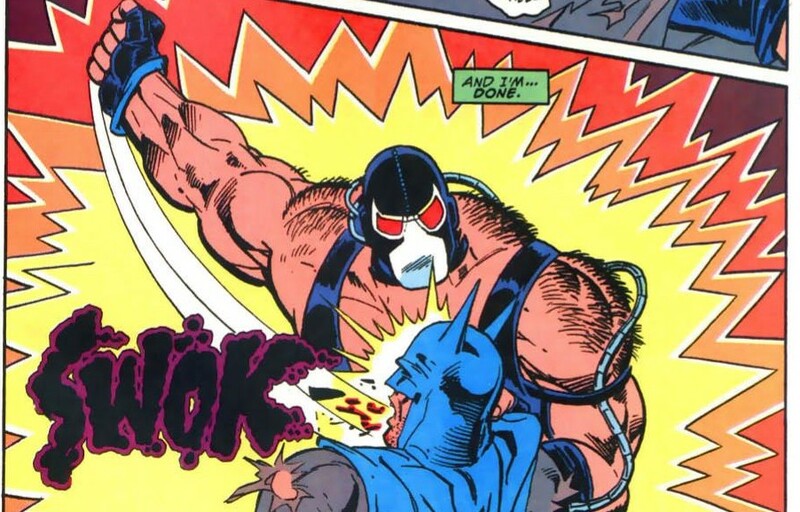 Iconic and satisfying Bat-event, as Bane seeks to break the bat. The inspiration for Christopher Nolan’s The Dark Knight Rises . You certainly don’t need to read Grant Morrison and Howard Porter’s late 90’s JLA as part of your Batman experience, but the first story is a great showcase for Batman, and goes a long way to defining the character’s relation to the Justice League and the DC Universe at large. Gotham City is rocked by a deadly earthquake, sending the city into total chaos. To make matters worth, President Luthor annexes Gotham from the rest of the United States, leaving the city helpless. It’s up to the Bat family, GCPD, and a few unlikely heroes to keep the city alive long enough for the country to come to its senses. Evolution and Officer Down are essentially No Man’s Land: Aftermath, as the players adjust to New Gotham. The extraordinary Greg Rucka writes most of this, with assists from Ed Brubaker. Another JLA story that goes a long way to developing our understanding of Batman in the expanded DC Universe. An early glimpse at Ed Brubaker’s skills as a crime novelist. Bruce Wayne is discovered with the body of a wealthy heiress in his arms,, and now the entire Bat family must work to secure his freedom. It’s a story right out of any dimestore novel which is why it’s absolutely perfect for the Dark Knight. “Gotham Central is one of my 25 favorite comic book series of all time, with amazing GCPD stories from Greg Rucka, Ed Brubaker, and Michael Lark. 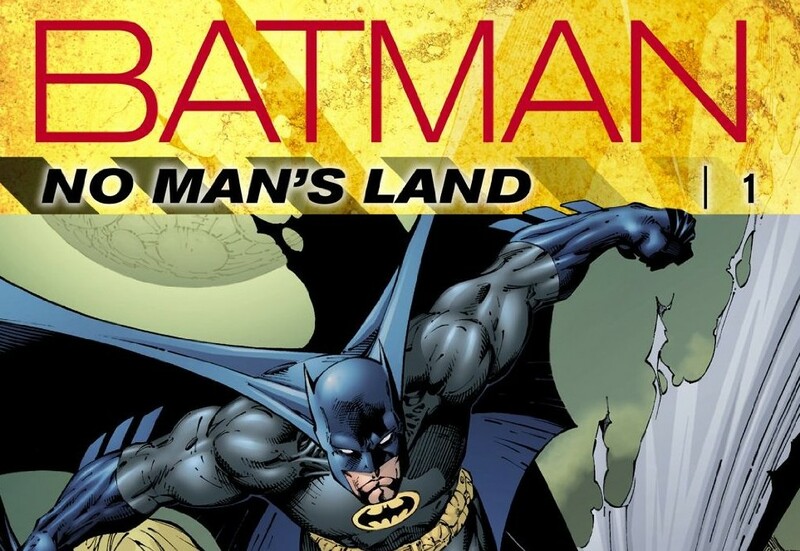 Jeph Loeb and Jim Lee team up for one of the most popular Batman stories of the 2000’s. Hush serves as a fantastic jumping-on point for new readers who just want to get into modern day Batman without doing homework on all the versions that came before. It introduces all the major players and elements while still delivering a satisfying mystery for existing fans to follow along. At the end of it, pretty much every character is left with some new narrative force. While it has its detractors, and some parts haven’t aged great, it’s still a solid arc that managed to inject some much needed energy to the long-running title. Plus there’s a Batman/Superman brawl and you just gotta love those! President Luthor declares Batman and Superman the titular “public enemies.” Watch two of DC’s most iconic superheroes outwit and outfight everyone else on the block as they make a run for the White House. Along the way, the book does a great job of highlighting the difference between the two eponymous heroes for both dramatic and comedic effect. One of the most popular and controversial stories in the entire DCU, this is largely outside the scope of Batman. That said, those invested in Batman’s relationship with the Justice League will want to check this out. Collects: Batman #635 to #641, #645 to #650, and Batman Annual #25. Judd Winick and Doug Mahnke team-up for one of the better Batman turning points of all time. Don’t read the product description if you want any part of this story to remain a mystery! You really don’t need to read Infinite Crisis as part of a Batman guide. I list it here primarily because it’s the mid-way point for the entire DC Universe in the 2000’s, and because Gotham Central, Book 4 features an Infinite Crisis tie-in. Please note that the titles below that feature issues written by Grant Morrison during his extended run on the Dark Knight are italicized and bolded like so. Not a part of Morrison’s run. Detective Comics featured writing from Paul Dini during this time period (Dini created Batman: The Animated Series alongside Bruce Timm). While the Black Casebook is not a part of the Morrison Batman run, these 50’s and 60’s stories do provide the primary reference points for Grant Morrison’s Batman research. You don’t have to read these issues to enjoy the run starting with Batman and Son, but I can promise you Morrison’s plot and reverence for Batman lore will make a lot more sense if you do. Final Crisis is genuinely the most difficult superhero universe comic I have ever attempted to read, although at the time I was not nearly as well-versed in the DC Universe. Reader beware! Nonetheless, it’s Morrison’s Crisis event, and sets us up for the next stage of Batman! The particulars of “Time and the Batman” (collecting Batman #700 to #703) get quite timey-wimey. If you really want the full ordeal, I recommend the CBH Morrison Batman guide. Collects: Bruce Wayne: The Road Home – Batman and Robin #1, Bruce Wayne: The Road Home – Red Robin #1, Bruce Wayne: The Road Home – Batgirl #1, Bruce Wayne: The Road Home – Outsiders #1, Bruce Wayne: The Road Home – Catwoman #1, Bruce Wayne: The Road Home – Oracle #1, Bruce Wayne: The Road Home – Commissioner Gordon #1, and Bruce Wayne: The Road Home – Ra’s al Ghul #1. A number of 1-shots. Supplementary reading material that’s interesting but not crucial reading . The issue marking Bruce Wayne’s return to full-time Batman duty. 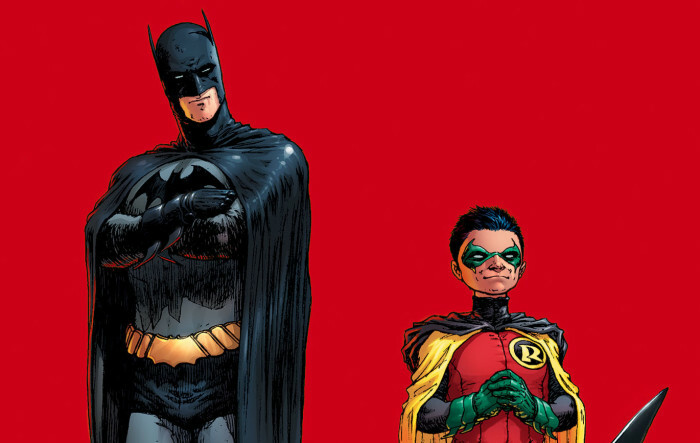 Bruce and Damian Wayne must get reacquainted after Bruce’s trip through time. A mad bomber with a centuries old grudge is out to level Gotham city. This story delves into the history of the city and how that history has impacted the entire globe. Consider this the ceremonial passing of the torch from the Grant Morrison era to the Scott Snyder Batman era. Black Mirror occurs in the wake of Morrison’s seminal run on the character, and features some early, excellent work from Snyder before he would take over during the New 52. Following the events of Flashpoint , the DC Universe rebooted as the New 52. Scott Snyder and Greg Capullo took over creative duties on DC’s Batman, which quickly became the critically-acclaimed flagship Bat-book for the New 52. Snyder and Capullo books are marked below like so. Note that if you want everything, including all the Bat-family books and to see how Batman plays in relation to the DC Universe at large, you can check out the Comic Book Herald New 52 Reading Order! You have two options with New 52 Batman. You can either start with the first issue and “The Court of the Owls” story arc, or you can start with “Zero Year,” which is a variation on the classic early days of Batman as told in Year One . I’ve tried it both ways, and I actually prefer “Zero Year” first, but your mileage may vary. The companion Zero Year collection expands to a bunch of other DCU heroes, some closely tied to the Bat Family, and some closely tied to Bats’ Justice League membership. This will not advance the Batman Zero Year story much, but will provide some New 52 companion issues. Scott Synder’s in-cannon reimagining of Batman’s origins, all in one place (overlaps with the above Vol. 4 & Vol. 5 collections!). For all intents and purposes, Grant Morrison’s extended run on Batman continues with the New 52 Batman, Inc. The series essentially continues operating as if the New 52 never happened, which is totally cool if you enjoyed Batman, Inc. to begin with. You should read Batman #35 to #37, and then read the tie-ins above. From there you can move to Batman #38 to #40. It’s a testament to the strength of both Batman and the creative teams responsible that the Dark Knight escaped the controversial New 52 relatively unblemished. If anything, Snyder and Capullo gave us a new great run to talk about for years. DC Rebirth resets everything on the DC Universe, re-instituting much of classic DC history that the New 52 ostensibly disposed of. 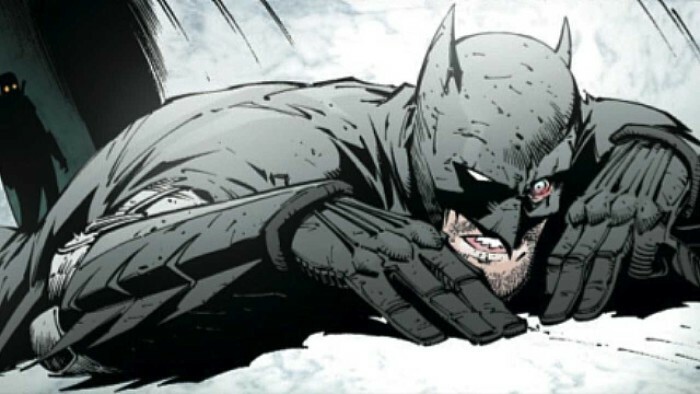 Batman survives, as always, and you can check out the full DC Rebirth reading order here. Tom King takes over Batman with this, the first installment of his “I Am…” series. Each book takes a look at one narrative element and examines how it interacts with Batman, starting with “I am Gotham.” This was King getting his Bat-legs under him, and it was controversial at the time… but as a part of his over-all vision, it’s well done. There is some overlap with the first Bat-family crossover and the subsequent collections, but this will give you the crossover in its intended order. Batgirl And The Birds Of Prey Vol. 1: Who Is Oracle? Functions as a Justice League vs. Suicide Squad epilogue series of sorts. Comic Book Herald’s complete Dark Nights: Metal reading order! Much of “The War of Jokes and Riddles” takes place in Batman’s early years, about a year after Scott Snyder and Greg Capullo’s New 52 “Zero Year .” Since the narrative is told as a series of flashbacks from Batman in the present day, I’d still recommend reading the “War of Jokes and Riddles” at this point in the Rebirth timeline. Collects: Detective Comics! Collects issues #969-974 and Annual #1. Collects: Batman #45-50 and DC Nation #0. The controversial “Wedding” story. This marks the half-way point of King’s arc and begins the descent of the Bat. You can find the whole reading order for this mini-event, with Comic Book Herald’s Batman and Catwoman wedding reading order. Collects: Batman #58-61, Batman Annual #3 and Batman Secret Files #1. Comic Book Herald’s complete Doomsday Clock reading order! 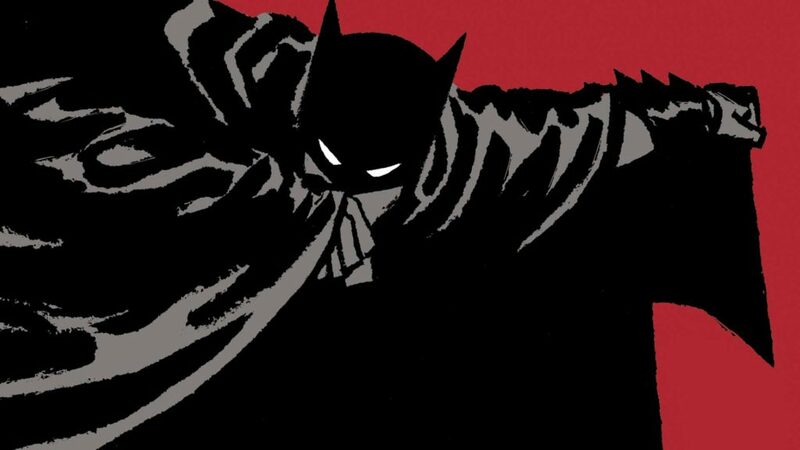 Not long before he redefined Batman’s origins with Year One , Frank Miller was reshaping the graphic novel medium with The Dark Knight Returns. It’s an amazing achievement, and frequently hailed with Watchmen as one of the greatest graphic novels of all time (personally, I have it 9th). You can find the entire “Dark Knight Returns Universe” comics selection in Comic Book Herald’s complete Frank Miller Batman reading order. Miller returned to The Dark Knight about 15 years later, and well, let’s just say it’s far less of a unanimous celebration. I find the Dark Knight Strikes Again relatively interesting, but don’t go in expecting it to hold a candle to The Dark Knight Returns. What Ever Happened to the Caped Crusader? Writer/artist Paul Pope’s take on a futuristic Gotham that’s run like a surveillance state by totalitarian GCPD, and the low-tech Batman who fights for the right of anonymity and choice. These three miniseries helped define 90s comics and are an absolute must-read for any fan of the era, the Bat, or just action-packed fun. Collects: BATMAN/ALIENS #1-2, BATMAN/ALIENS II #1-3, SUPERMAN/BATMAN VS. ALIENS/PREDATOR #1-2, WILDC.A.T.S/ALIENS #1. A kind of companion piece to Batman vs. Predator, this book collects a series of stories where Batman, Superman, and WildC.A.T.S. must face-off against the Xenomorphs. More 90’s fun! Collects: Batman/Judge Dredd: Judgment On Gotham, Batman/Judge Dredd: Vendetta In Gotham, Batman/Judge Dredd: The Ultimate Riddle, Batman/Judge Dredd: Die Laughing #1-2 and Lobo/Judge Dredd: Psycho Bikers Vs. Mutants From Hell! Any time that Gotham’s Dark Knight and Megacity 1’s Violent Protector get together, it’s bound to be a violent, absurdist good time. This collection highlights some great writers and some of 2000AD comics’ best artists. Alan Grant. Simon Bisley. Why are you still reading this? A collection of fun, experimental, and downright absurd Batman stories. Includes the origins of Batmite. An absurd send-up of the 90s Knightfall event. Do NOT enter into this expecting a Batman comic. Instead, think more along the lines of a Groo the Barbarian for the dark and violent decade. What more could you expect from Alan Grant of Lobo fame?! A nasty little character study of the Clown Prince of Crime, delivered by the always excellent Brian Azzarello and Lee Bermejo. This gets a little intense. Batman meets Dickens. This story shows familiar heroes and villains throughout the ages in a loose approximation of A Christmas Carol… only with more punching. Outside continuity, this DC and Dynamite Comics character crossover is simply a lot of fun. Story by Scott Snyder, Steve Orlando, and Riley Rossmo. Batman is out to stop the sale of a drug that allows people to live the life of their dreams — by litterally shapshifting into that person for 24 hours. After that, the users die. This one is heavy on Japanese influence. A Batman story for mature audiences. Joker has been murdered and Batman is the primary suspect. And only John Constantine to help the World’s Greatest Detective solve this mystery. Yet another fantastic team-up between Brian Azzarello and artist Lee Bermejo. I’m rather surprised that “Ten Nights of the Beast” & “The Many Deaths of the Batman” aren’t in the 80’s section. Some of the finest work of that era. Thank you very much!!!! this is an awesome post. It helped a lot. Thank you for your effort!!!!!! But only Batman 219 (not even listed above) is in your full issues collected list. This needs to be updated to include more recent volume’s of King’s batman and Tec. I’ve always wanted to start reading the Batman comics since I was little, but could never find a clear reading order. This helps so much, thank you! This list is amazing. From the comments some people might think a few books are out of order or a few missing. I have used this list to buy everything up to Batman Detective (*54). Really grew up a fan from Sword of Azreal on (Vengenace of bane 1 and 2 are missing and i don’t think both books go back to back in chronological order so if anyone can tell me where both go in this list that would be great!). Anyway I have up till Batman Detective (*54) and everything from this is where it gets very confusing. I know Morrison took over right around there and I see a Morrison Omnibus coming out which might cover a bunch of TPB’s I wont need since they might be in the omnibus on this list after (*54) My hope is that someone can put a definitive list from Batman Detective on using current and upcoming releases that cover this time frame. I’m sorry if this is confusing and I’m quite the newb when it comes to posting messages. I’m just so confused in this time frame. I have all the new 52 and rebirth TPB’s but again need a solid list from Batman Detective (*54) until the new 52 came out. Again, not sure the rules on this vine or if i can put an email address so I can speak with someone one on one. Any help would be greatly appreciated. Let me know if I can provide an email address for a one on one tutorial. Also I am ready to buy the full lot of TPB’s from *54 on. Rambling now but boy is this overwhelming especially with all the sites out there who claim to have the definitive list. Great work by MASTEROFNONE, you helped me acquire a ton of TPB’s I never even knew about. Also some people seem to think certain TPB’s should be in a different order than what this list shows. I would love to know anyone’s opinion of the correct order. Again I’m rambling and just need some help. Message Board is great and i appreciate all the hard work every person who commented put in. Just need some help. Thanks again and sorry if this is confusing or long winded. No Batman/Superman by Tom Taylor? I feel like this list is missing a lot of important GCNs and one-shots, specifically Batman: Snow, which depicts Mr. Freeze’s canon origin story. I’m going to take this list and compile it into my own Batman recommended reading order. This certainly helps. Where are you gonna compile it? Asking because I wanna read ut. Olaf, you missed batman collected legends of the dark knight witch fits just before other realms. Great list. Really helpful. But I notice the series “Dark Knight” isn’t listed with the other New 52 titles. Does this mean it’s not in canon or is it just an oversight? Thanks. the in the New 52 area of Detective comics the reading order stops at Joker Endgame which collects Detective Comics Endgame #1.I am just curios why the recommended reading order stop there when the series actually ends after 52 issues and 4 annuals. Hey this list is awesome. Thank you! I did want to point out that I believe The Man who Laughs takes place directly after Batman and the Mad Monk, as that ends with Batman hearing the police scanner talking about the warehouse of dead bodies that The Man who Laughs opens with. Most of Mad Monk takes place during Prey (I believe), except for the ending, which takes place after. So the reading order should be: Monster Men, Mad Monk, Prey, Man who Laughs (I think). I’ve wanted to read comics for a while, but I just didn’t know where to start. Then I found this list. And I was instantly scared away by the price tag. Real comics take a lot of money. But then I found online comics. I finally had a way to read comics for a reasonable price. I am currently working my way through the 40-60’s. But I have to ask. Would you recommend reading the comics on ComiXology? That was just the first thing I saw, so that became my default for reading comics. What would you recommend? This looks great! I kind of wish this would have seen something like this a couple of years ago, but right now I’m in too deep I feel. A while ago, I started downloading and reading/watching everything batman and batman-family related, from the very first comic book, in publication order. Right now I’m at the end of the 70s and things are going well, but will things get confusing when I get to the modern times, with all the different story arcs? Is it a better idea to just read the arcs vs the publication order? In that case I’m guessing this list would help a lot. Where are other storylines with Hush? Heart of Hush is the big one that comes to mind. Where does the david finch run stands in the larger DC universe? Batman- the dark knight- knight terrors? Please help me because the trade paperback is marked with new 52. 1) Can I just read the 2 “Batman Inc.” New 52 volumes immediately after “Batman Incorporated” (as you said it ignores the New 52 story) or is there some reason I should mix it into the New 52 storyline? 2) I heard “Batman: The Dark Knight” follows the “Batman Inc.” Vol 1 & 2 storyline. Is that true and could I therefore read that before the New 52 arc as well? 3) Lastly will there be an update to this list with regards to the New 52 since “Batman and Robin” and “Batman Detective Comics” aren’t mentioned after volume 4 on both? I was curious as to the reason (different storyline, just an oversight, etc.). I’m a ways out but I’ve been heavily reliant on your ordering lists (and other’s but yours is easily the most comprehensive) and it’d be great to know what to read when I get there. Thanks for any future updates!! Also where would “Batman & Robin Eternal” take place? Ok so I THINK I got the order down now from your “New 52 Reading Order” page (wow that was thorough!). That said I still vote for updating this list with Batman and Robin, Detective Comics, Batman Eternal, Batman and Robin Eternal, and The Dark Knight! Yeah, where does BATMAN AND ROBIN ETERNAL go? Great work, but why didn’t you put batman new 52 volume 89 and 10?? Likely released after this post was published – good call, I’ll update! are night of the owls and city of owls two different stories or does it go court of owl and then city of owls. whats the order for new 52 batman? Agreed. They are prequels, after all. Thank you- It`s really really helpful because I had only watched Batman cartoons in Tv. I expect to know a lot or everything about his universe. Batman: The Cat and The Bat collects BATMAN CONFIDENTIAL #17-21. Why are all the comics starting from the new 52 in a mixed order? Why after death of a family do you then have to go to a different set of volumes like detective comics, then go back to the volume where graveyard shift is in, then to a completely new set of volumes for batman eternal and then suddenly back to the first set for end game? I feel like I’m being messed around here! Why not do them all in one volume all together one after the other; do you know what I mean? Because they follow different storylines. When you read the comics, you will notice that sometimes it will say something like “*expanded in Detective Comics Vol. whatever”. You need to read all of the different storylines in order to gain a full understanding, including JLA, Batman and Robin, Detective Comics, Batman Eternal, etc. Does this answer your question? This is amazing, thanks so much. Will it be updated with Rebirth when it starts later this year? I love this list! Been following it for collecting and reading the modern era Batman Graphic Novels, but where does Batman-Full Circle, the sequel to year two, fit into the chronology? As far as I know, right after Year Two. Any chance this can be amended to include Batman Beyond related material? I can see that there are a few Beyond series, but not in the same continuity. Here a volume -6- contains #18-20 and 28#, while a volume -5- contains #29 and #33. Volume 5 is obviously the volume before six – so why does volume 5 contain issues that are chronologically higher than those who appear in volume 6? It makes no logical sense. Couldn’t you just number things in the right order? Like Vol 1. Has Issues 1+, Vol 2 has issues 5+, Vol 3 has issues 10+, and so on. Now how would I even understand issue #25 of Green Arrow when I haven’t read issues #1-24 of Green Arrow? It seems so random and illogical to me, at least in theory, maybe in practice it makes sense when you actually read it like this. Just the theory is what keeps me away from even trying to give it a go. Also the costs to buy all these simply to follow one comic. Seems so unnecessary. I’m not hating but I prefer things to be simple when complicating has no practical value and only well, complicates. I can’t speak to the volumes having gaps in the numbering system. That doesn’t make sense to me either. But as far as the unrelated titles go, it just gives you a more immersive story. You’re right, you’re not going to understand everything in Aquaman#25 if you haven’t read #1-24, but there will be a part of the story that sheds light or gives background on a part of the Batman story you’re reading. It’s personal preference whether you consider this “complicating” to have practical value or not. Plenty of people enjoy being familiar with the entire DCU instead of just one comic title. For the New 52 order, where do Detective Comics Volumes 5, 6 and 7 com in the order? Hey man, thanks for this, I really appreciate it! I’d love to see some more DC character’s reding orders, though I’m enjoying the Marvel ones as well. I recently found a new Superman reading order posted and I meant to comment that over there but I couldn’t leave a reply. So anyway, thanks for the job and for keeping it up! I’m glad you enjoy, thanks for the feedback! Definitely more to come. Great job, as usual… Even better than average, because this one gets my much vaunted “100% spoiler-free award”. BUT (there is always a but…), and fully realizing that this is a reading order and that Batman has lots of good/interesting stories, many of us would appreciate an “essential/recommended” list. This is a very good list! Congratulations on your work,your site is amazing for finding reading orders and comic stuff in general. Do you recomend any bat-family solo title from new 52 – DC You era? So far i’ve read a little bit from Nightwing, and the most recent ones Robin son of Batman and Gotham academy. I see so many mixed opinions in the bat-family titles,and there are so many that i dont know where to start. Glad you like! I have really enjoyed Gotham Academy and Grayson, both of which occur later in the new 52. Batwoman is a good starting New 52 book as well. Unreal, thank you so much! Really appreciate everything you do on the site! Thanks, I’m very glad you like.